Saving time and making our lives easier are the main tasks of the modern gadgets, especially when it comes to cooking. 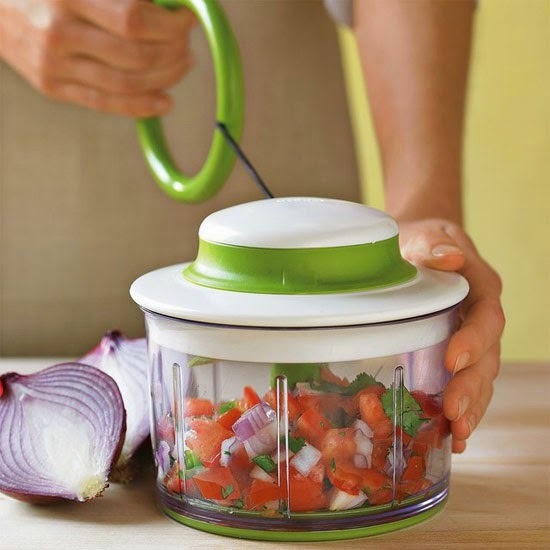 The culinary gadgets I have collected below are designed to make tasks like sliding vegetables and dicing tomatoes seem effortless. Almost all of them are made to solve one particular task, I mean they’re highly specific, otherwise, each of the tasks would be done incredibly good. 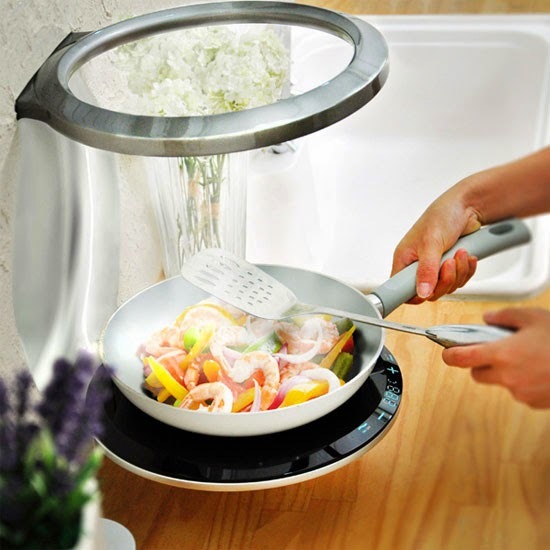 Along with making food preparation easier and faster, these gadget are appealing to the eyes and would complete the design of any modern kitchen. 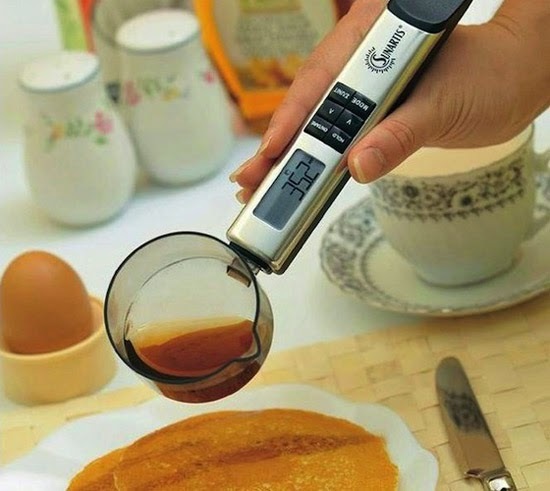 Whether you’re looking to accurately measure ingredients for a low-calorie diet or particular recipe, the Admetior Digital Volumetric Spoon Scale would help you to identify the volumetric weight with ease. This corn stripper is a convenient and compact kitchen appliance. 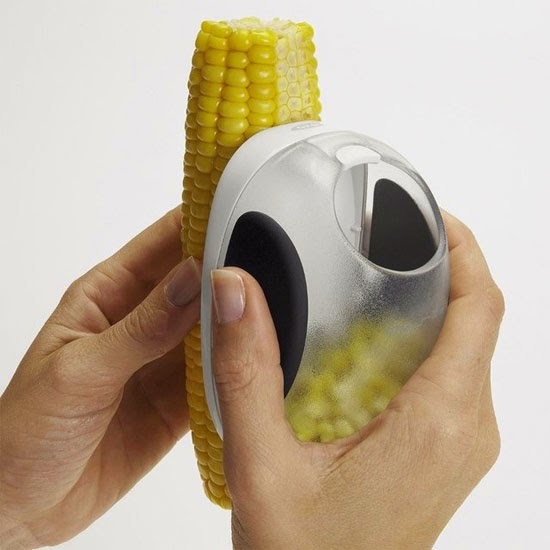 The gadget easily remove corn from the cob, making it ideal for children food or just for different types of recipes. The device includes a container to catch the kernels as they are removed from the cob. It’s a perfect choice for those who live alone and does not cook regularly. This Paseco S.I.A.M. Induction Cooker uses space practical and is laos ideal for limited-space living. 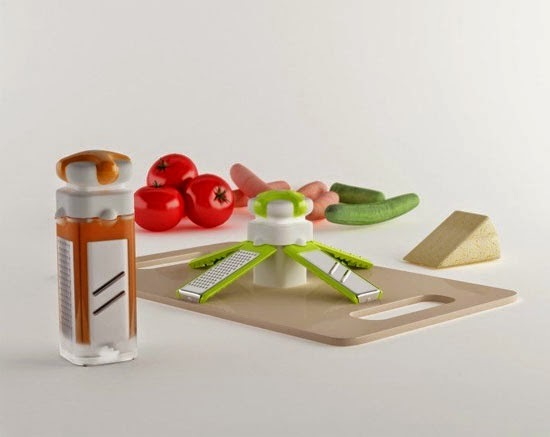 This Joie Tomato Slicer and Knife kit allows you to slice tomatoes easily. 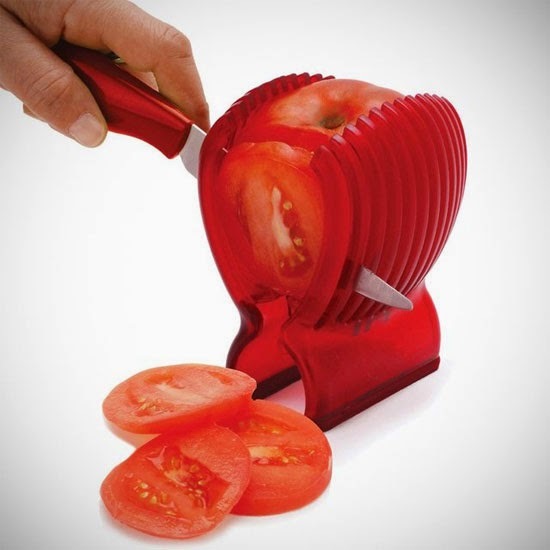 Tomatoes are almost impossible to slice with one hand, but this awesome kit hold up the tomato so you can slice it away. 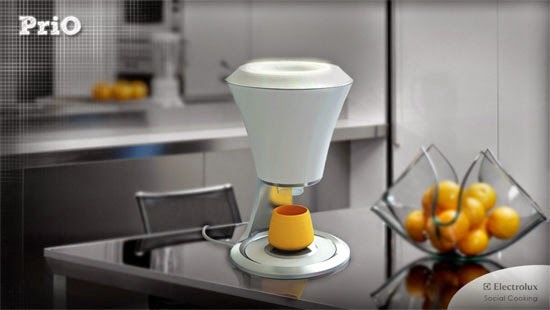 This unique juicer is waste-free and could clean itself! Moreover, it produces cups itself, you should just just one of the 3D models of cups with a button and push it. This citrus knife is complete with scorer, zester, and non-stick carbon steel blade. 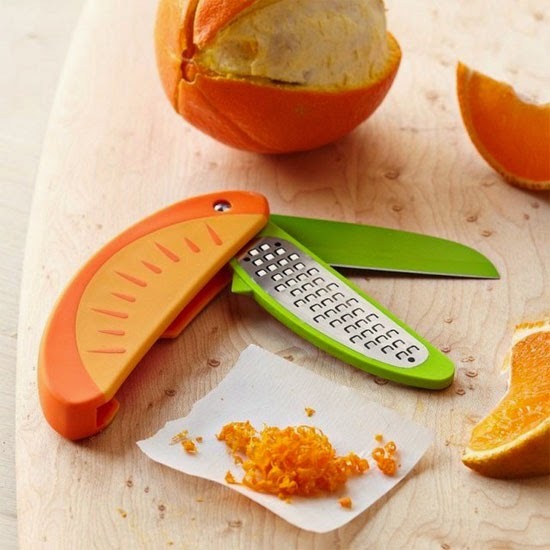 Talke you citrus eating to a whole new level with this tool! It’s multifunctional and easy-to-use, packed with lots of features for your creativity. True success in the kitchen depends on speed and comfort, and this finger guard could provide them both. 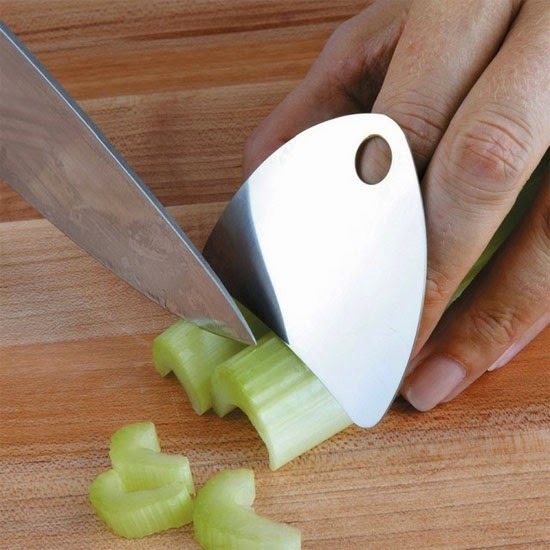 Just slip it onto the middle finger and the wide stainless steel plate would protect your fingers while you chop the ingredients for your next cooking masterpiece! Would you like to seem a professional chef for your guests? This cool mini pocket maker will do all the hard job for you. It cuts the dough and after that you need just to put this piece into the tool, add some stuffing and close it. Voila! This satellite is a compact and convenient all-in-one design that allows you to clip it on the plate and grade right onto the dish. It’s functional for various grading results, and the main idea behind the tool is its space-efficient functionality. 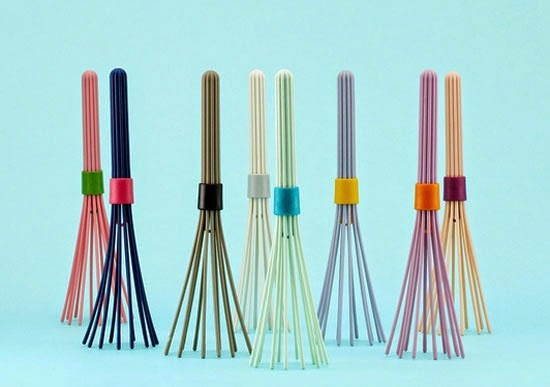 Compact and colorful Beater whisk would spice up your kitchen design along with cooking process. It was inspired by a package of straws and its simple design is perfect for any mixing work. 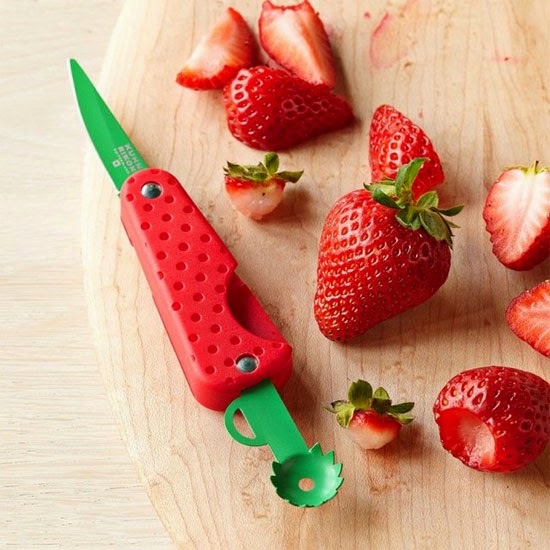 This fruit knife is a multifunctional tool which was specifically designed for strawberries, but can be used for any other fruit. The whole blade of the knife mimics the strawberry appearance and looks really cute! 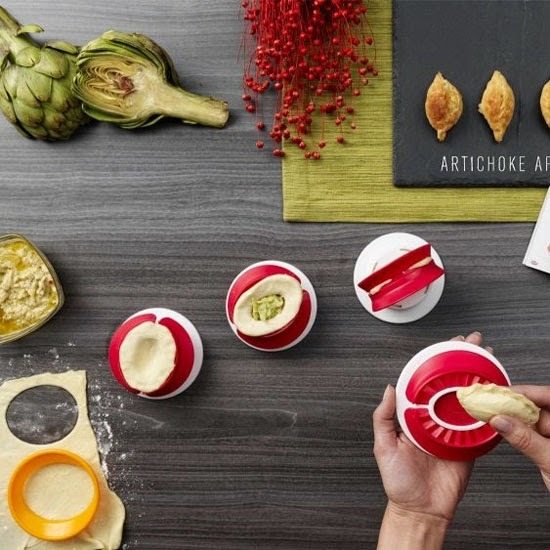 The kitchen accessories like that are designed to regulate excess. 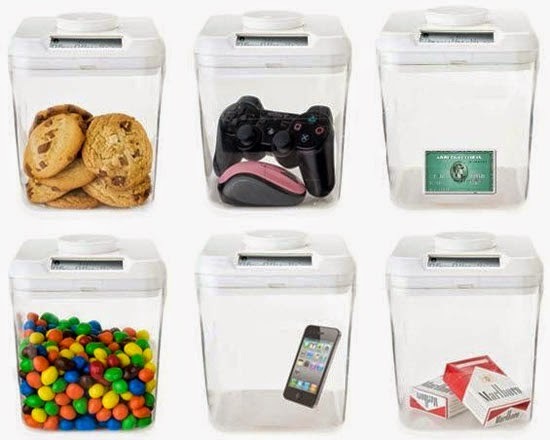 If you’re trying to keep your kids from eating too much sweets, or trying to lose weights, this kitchen safe with timer were made for you!. Just set the timer for any time you want and you will not be able to open it till the time runs out. 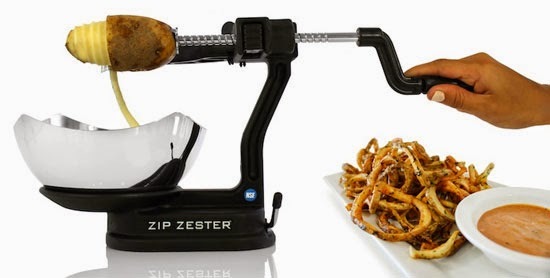 The Zip Zester is the perfect gadget for creating a flavorful lemon or potato zest. With both a microblade and a big twist blade, this tool is able to accurately peel off the rind of the fruit or vegetables. 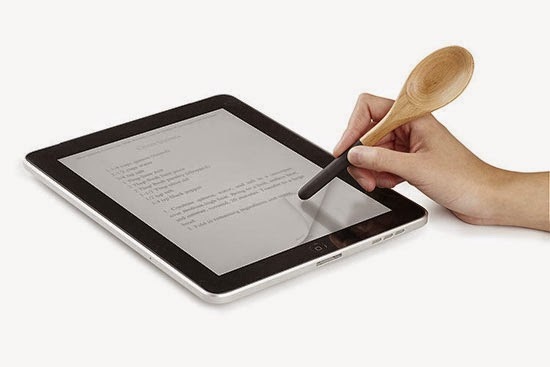 It’s a spoon that doubles as an iPhone and iPad stylus. In the age when people use tablet more than a cook-book, this clever gadget is perfect for your dirty hands while cooking or baking. 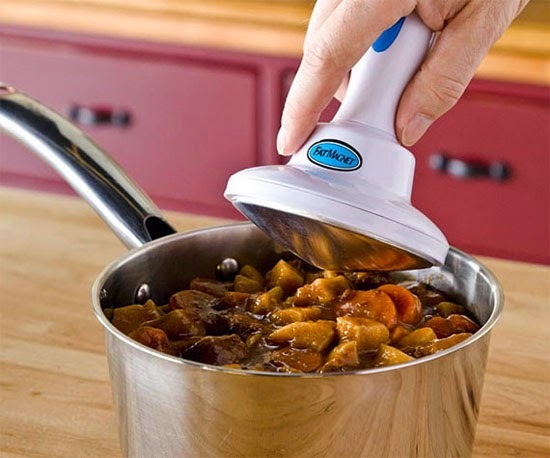 The Halo Heating Spoon is awesome solution for stews, soups, and your stale morning coffee which you can use even sitting at the desk. 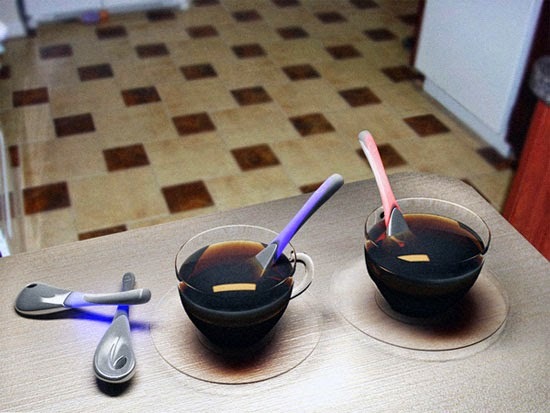 A temp-indicative LED glow over the handle of the Halo Heating Spoon makes it even more hi-tech and cool! Of course, it’s questionable whether or not it actually works, but the Fat Magnet claims to remove calories, fat, and cholesterol from the top of your favourite foods with minimal effort. It works as a paper towel and absorbing thing. Imagine, what if the fork could tell you when you’re eating too fast? 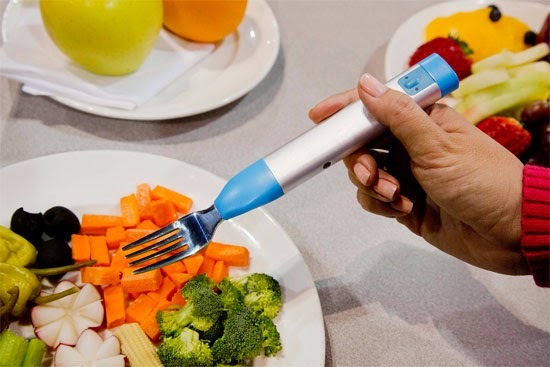 The idea behind the HapiFork is to help you to lose weights by controlling the speed of your eating. Moreover, you can manage all the needed data with your laptop or mobile devices. 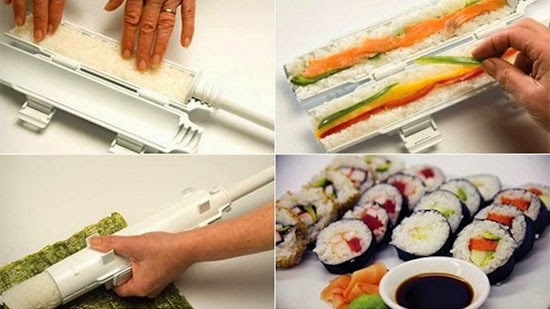 The Sushezi Sushi Made Easy is a perfect device for sushi lovers that would make it easy to cook them right at home. 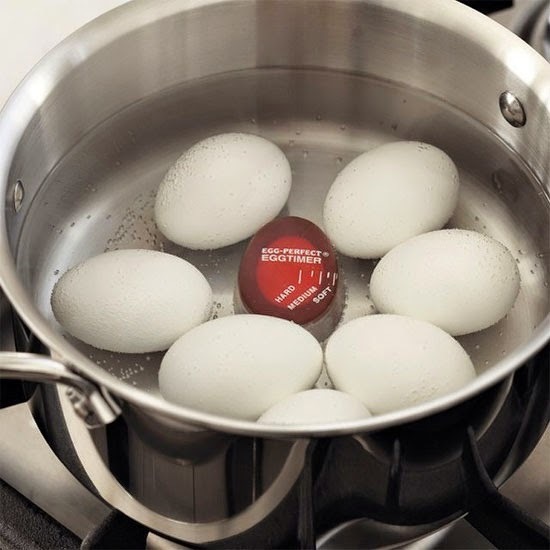 The Egg Perfect Timer would help you to cook perfect eggs for yourself or your family. It works in three modes: hard, medium, and soft, depending on what kind of eggs you prefer more. Could you allow a good wine go to waste just because you don’t have a stopper? 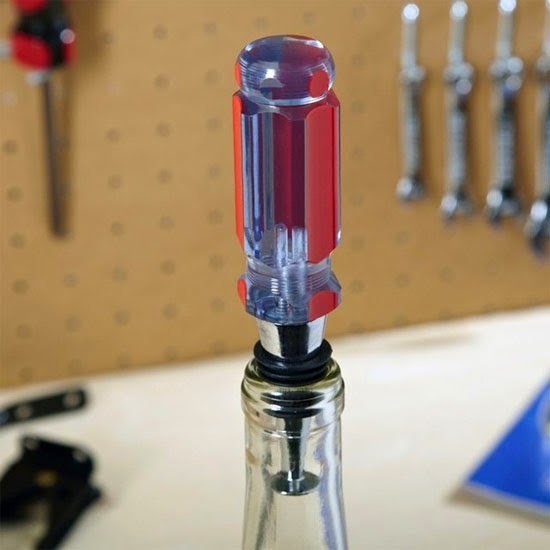 This stopper would keep your wine safe and flavour till the next occasion. These clips are an indispensable tool in the kitchen You can clip them on the bags with food or right on the fridge door with to-do reminders. 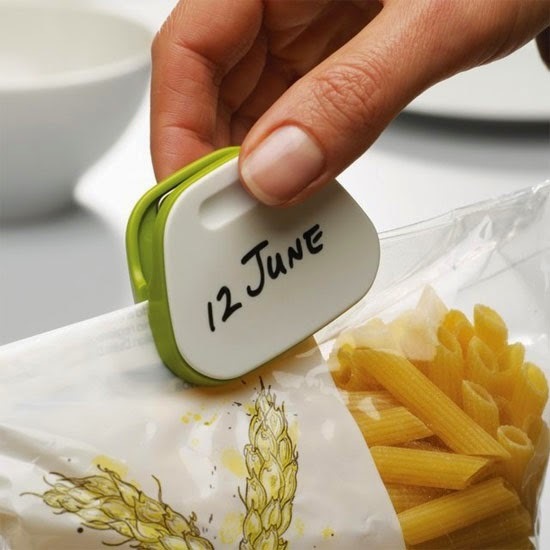 These clips have dry surface that makes it easy to write on them and erase after. 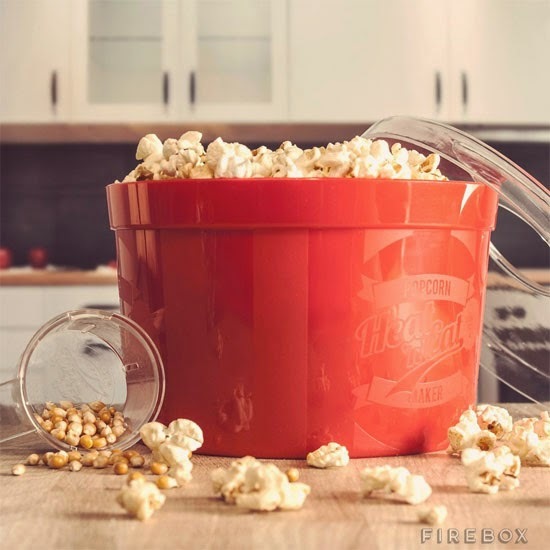 This awesome popcorn maker is a great tool to cook healthy popcorn at home. Watch movies with your friends or enjoy video games time with a bowl of tasty popcorn. 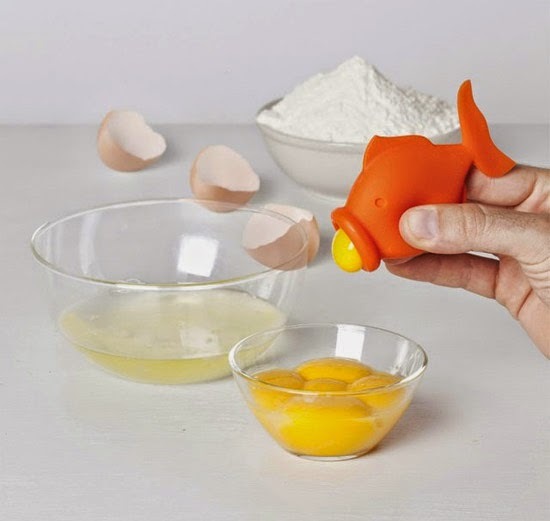 This funny egg separator in a form of a fish would help you to separate york out from an egg with ease. It highly helpful while cooking and, especially baking. 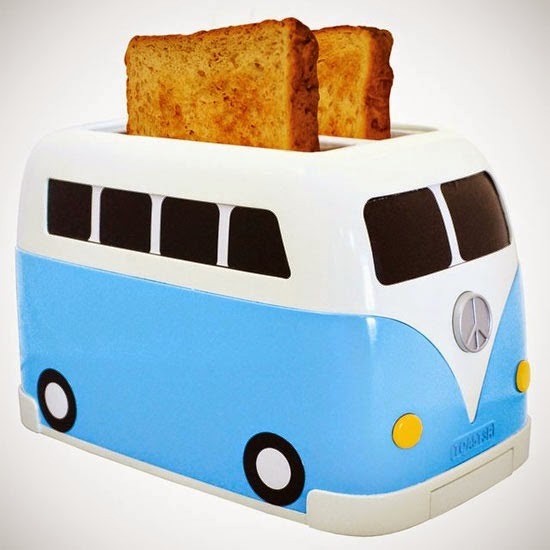 Created for hipsters, this cool toaster in a form of Volkswagen slug bug will be a perfect addition to any kitchen.